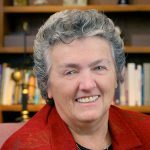 Benedictine Sister Joan Chittister offers some words of wisdom and encouragement to the Sisters of the Good Samaritan as they prepare for their twenty-fifth chapter. This year after the passing of 25 General Chapters, the Sisters of the Good Samaritan, celebrate 154 years of service to Australia. They gave their lives, their talents and their singular communal strength to the upbuilding of a country and the Church within it. Certainly congratulations are due: Well done. Impressive. A stunning model of human life for the rest of us to see. Yet all anniversaries come with an equally ominous message: What now? The “now”, we know at least unconsciously, is never the same as what was “then”. What was needed then, what was wanting when the Sisters of the Good Samaritan were founded to work with disadvantaged women, what was needed then is light years away from a world now on the brink of the space exploration of Mars. The year 2011 is itself another planet when compared to the year 1857. And yet, what brought the Good Samaritans to give their lives away in imitation of Jesus and in service to the world in 1857 is not all that different from what drives them still. In 1857, in what was essentially a brand new Australia, the last convicts were still being shipped to penal colonies in Tasmania and Australia. The Gold Rush was in full flight with all the fever, all the rugged competition and luckless folly those periods in any history imply. The population had increased three-fold in ten years and was now passing the million mark. The nation’s first immigration restrictions were put on the Chinese who were already flocking to the new country. The Aboriginal people, displaced and diminished, destitute and denigrated, were being shunted further and further to the margins of the society. And yet, at the same time, the “Australian Ballot”, the secret ballot designed to free voters from electoral intimidation, becomes the law of the land for the first time in any country in the history of the world. Clearly, in 1857, Australia is a fast-growing, mineral rich, forward-looking country still steeped in the social scars of the past, but, at the same time, intent on growing far beyond its penal beginnings. Clearly, there was great work to be done for the poor, for women, for an exploding population and Good Samaritan Sisters were in the thick of doing it. At first glance, nevertheless, it is as difficult to see much relationship between the Good Samaritans then and the Good Samaritans now as it is to see a relationship between the Australia of then and the Australia of now with its teeming Sydney Harbour, its great far-ranging sheep stations, its wealth of iron ore deposits and its modern welfare democracy. The Good Sams grew up with the country and the country grew up because of them, as well. They went to its streets and served the poor women left behind in its race to success. They went where no one else had yet been – from the Pacific to the Indian Ocean – to stretch it. And they opened schools everywhere they went to educate it from one end of it to another. But, however important the Good Samaritan’s early ministries, it is not any particular ministry that is their legacy. It is the spirit that spawned the Good Sams in 1857 that has marked their history, that underlies them now and that is their promise to the future. Like a nation rooted in Europe and now grown beyond it, the Good Sams took a European monasticism and gave it fresh, strong, distinctive Aussie roots. No doubt about it: it’s not so much what we do that marks us as it is the spirit with which we do it. It is not so much what we do that assures our future as it is the spirit that drives us on. The problem is that it is so easy to settle down on top of the little mountains we have built for ourselves. As if there are not other mountains to climb, other mountains to settle, other mountains to map, other mountains that wait for us to occupy. The Good Sams brought then and still bring now to the Church, the country and to Benedictinism a spirit that is a model for us all. It is the spirit of newness, of immediacy, of compassion, of independence, of risk and of tradition. The Good Samaritans did not see the new as a threat. They embraced it and thrived on it. What had to be done for the sake of the poor, they did. They saw immediacy as the voice of the Spirit. They were not busy trying to emulate anyone else’s historical past. They were devoted to the presence of God in the Now and shaped it with both today and tomorrow in mind. They walked the paths of compassion, not the straight lines of Victorian morality. They did not work with women in order to punish or control them. They worked with women to educate them, to sustain them and to give them the skills they needed to sustain themselves. They embraced the spirit of independence that was simmering in the culture around them and shaped a spiritual world that was both far-reaching and deeply rooted at the same time. They knew that Benedictinism was more hospitality than it was withdrawal from the world and based their lives more on love of the other than on private piety. They saw risk as the call of God to enter into an even deeper immersion in the present needs of the world. They did all these things cemented in the great Benedictine tradition that was the basis of their spiritual foundation. Its call to community, stewardship, hospitality, humility, listening, peace and prayer made them citizens of everywhere. It gave them the surety of 1,400 years of spiritual integrity. It became a guide not only to what to do but how to do it as they moved from one place to another. These were not nuns who set out to build a world inside a world. These were nuns who shaped their lives to the world around them as did the Jesus who “was in the world but not of it”. Clearly, as long as the Chapters of this community continue to use newness, immediacy, compassion, independence, risk and tradition as the criteria for every major decision they make, their future can only be as good as their past. It is this community of Good Samaritans, sisters such as this from a tradition such as this, that the world salutes – not simply for its 150-plus years of past among us – but for the quality of the next 150-plus years that such a life promises. Congratulations to you all – for all our sakes. A Benedictine Sister of Erie, Pennsylvania, Joan Chittister is a best-selling author and well-known international lecturer on topics of justice, peace, human rights, women's issues, and contemporary spirituality in the Church and in society.